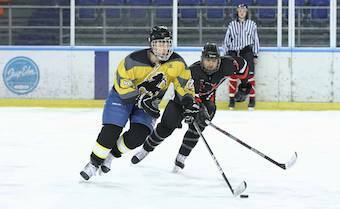 Welcome to the website of The Slapping Studs Enschede, the oldest student ice hockey teams in the Netherlands. Ever since 1982 we have been affiliated with the University of Twente, where the Studs were founded by a group of students looking for some action. Throughout the years, we have become a flourishing team, organising lots of activities for our members. We have done well in competition, but our competitive achievements do not mean we put performance above sociability. Hanging out and having fun is (or at least should be) an important element of every Dutch student team. At the moment, our team consists of one coach and about 45 players, whose level ranges from beginner to advanced. Because we are subsidised by the University of Twente, we require all our members to purchase the university's Campus Card. If you're not a student or employee at University of Twente or Saxion you can also become a member, but you will have to pay more for the Campus Card. Additionally, the board will have to approve your membership. You don't need any hockey experience to join our team, a large part of our player's couldn't skate when they started playing! During the hockey season, which runs from October to the end of March, we hit the ice at least two times a week for practice. 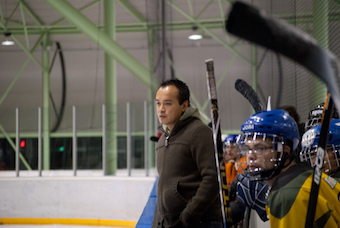 The training includes tactics, skating, rules and stick handling drills. Our practices have been very successful in combining the learning needs of both the beginners and the more experienced players. In order to achieve an even better fit between both groups, we have partly separated training times, so everyone has a training at his or her own level. Training is given at the IJsbaan Twente in Enschede. More information can be found at our Training page. 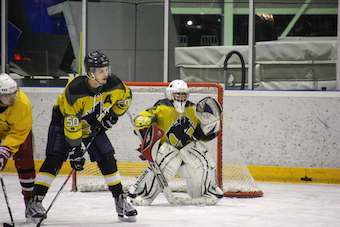 We have two teams: the first team competes in the Dutch Student Hockey League and the second team competes in the ARHL (Adult Recreational Hockey League) in the 5th division. The first team plays against Eindhoven, Groningen, Den Haag, Utrecht, Amsterdam and Nijmegen. The second team plays against Amsterdam, Enschede (Lions), Utrecht, Groningen, Hoorn and Heerenveen. 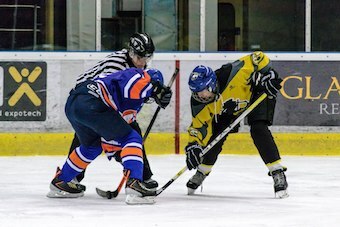 At the end of the competition an NSK (Dutch Student Championship) is played, which is a two-day event organised by a different student ice hockey team each year. More information is listed on the Competition page. During the season, as well as the off-season, the Studs schedule a number of returning events each year. Throughout the season, new members of the Studs have their own games against rookies of other student teams. At the end of the season we organize a BBQ for all members. This year we will organize a hockey camp in Czech. Additionally, when there is summer ice on the ice rink in Enschede, we play several trainings during the summer time. Each year, we organize at least two (free!) introduction practices. These practices are intended for students who are enthusiastic about getting to know the game and/or our team. No prior hockey experience is necessary! 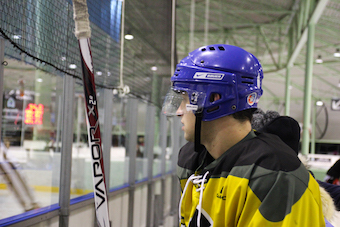 Don't worry about the equipment and skates; we will make sure everything you need is available at the ice rink. The exact date and time of the introduction training will be announced on the website in the news section. Throughout the season, it is also possible to join us at one of our regular training hours. Just send an email to one of the board members (contact), and you will get the opportunity to try the sport that is considered world's fastest team sport! This site's general information topics are in English for the better part, because of the international character of our team. Being an university team implies a fair number of international students, and therefore we tried to make the general information about our team more accessible to them. On the other hand, it would be impossible to translate the entire site in English, because of the frequently added news-articles and the message board.